Wake Tech Campus North, I-540, Exit 18, at the intersection of Perry Creek and 401 N/Louisburg Road. The mission of our office is to help our policyholders manage the risks of everyday life and to be the first and preferred choice for all of your Raleigh insurance needs. 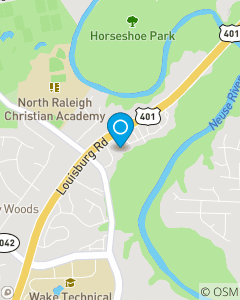 We focus on Auto Insurance, Home Insurance, Business Insurance, Life Insurance and Renters Insurance throughout Raleigh, including the Cary, Chapel Hill, Durham and Wake Forest areas.